Oh, beige. So overused, so undervalued. Beige is like the plain, dutiful city clerk. She keeps the town running smoothly, but no one throws her a parade. But boring old beige doesn’t have to be boring. It’s just that it is too often used as a default, with no real thought about tone, hue, value and what other colors might look great with it. It’s slapped on cheap apartments and homes about to be put on the market. Beige is nearly infinite in its subtlety. Which beige you choose can alter the entire mood of a room. 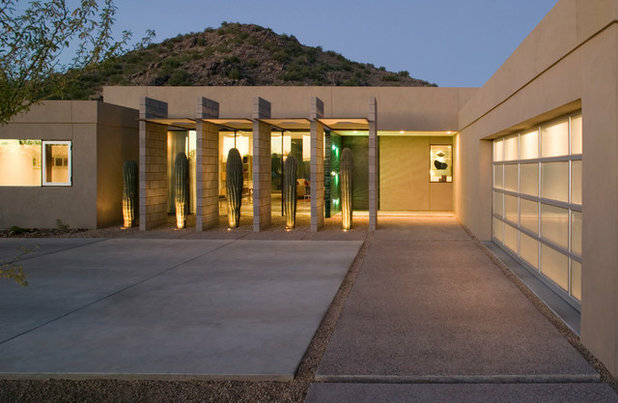 It looks different depending on the architecture and kind of light. Beige is also known as tan, buff, cream and even khaki. It varies from nearly brown to very pale cream. It can have warm yellow undertones or pink undertones or be nearly grey. “Greige” seems to be the “It” neutral at the moment. Warm, yellowy beiges look great with teals, turquoises and other yellow-blues. True red looks vivid and elegant next to darker warm beiges. 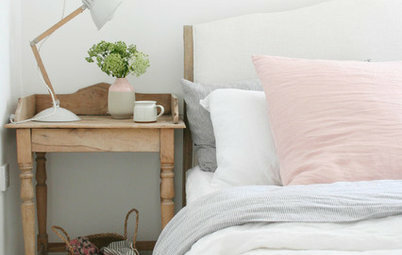 Beige and pink also looks lovely, no matter the undertone. 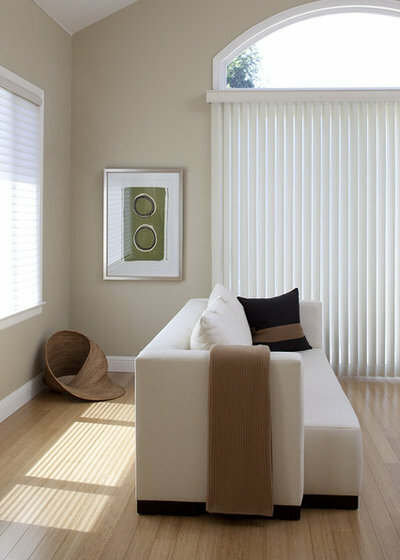 Layering beiges creates a soft, calming look; it makes you feel like you’re walking into a room made of cashmere. 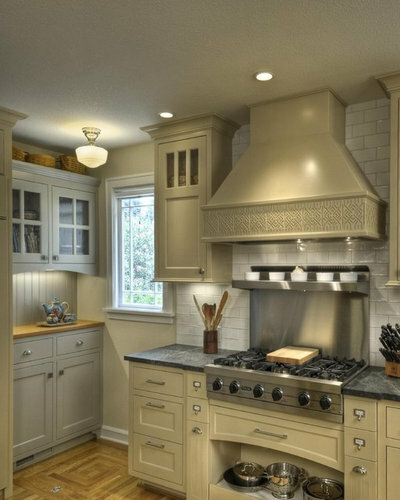 And all beige tones, no matter how light or dark, work with bright white trim; nothing looks crisper or more traditional than this combo. 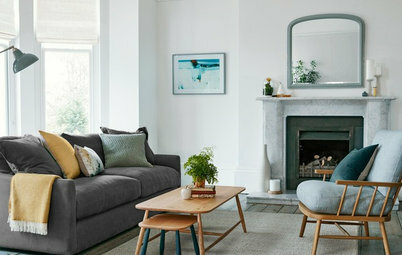 Beige is a favourite of traditional styles, but it is really everywhere — even in wide-open modern spaces and wild, eclectic boho spaces. It’s the unsung workhorse of the decorating world. And if you can see past its reputation, you can appreciate its subtle beauty. 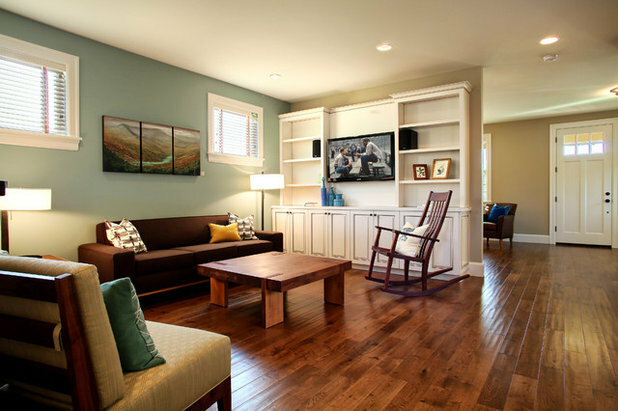 A light, cool beige in this giant room adds a little warmth but remains steadfastly modern. 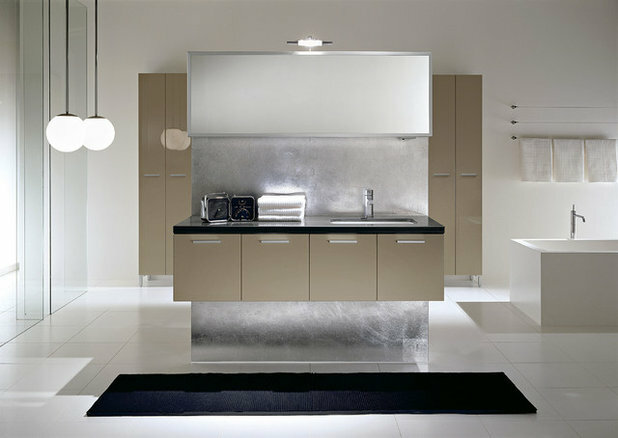 Light beiges are a great alternative to bright white in modern spaces. 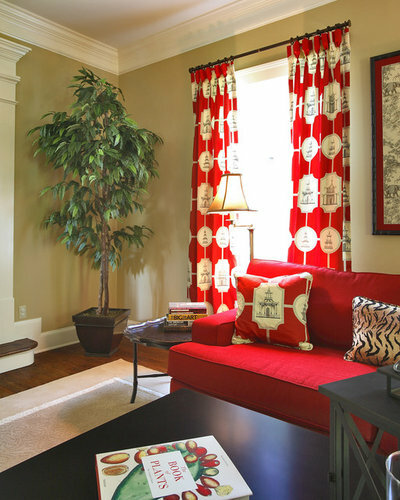 A rich, warm beige with bright red is always a winning combination. 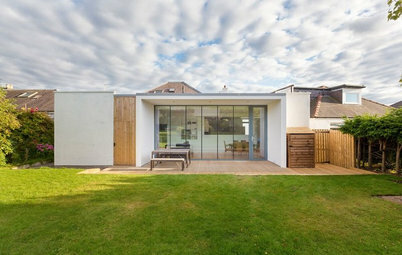 Bright white trim keeps it all crisp and clean. Layers of beige — from a very light cream to a dark tan — add to the airy, calm feeling of this room. 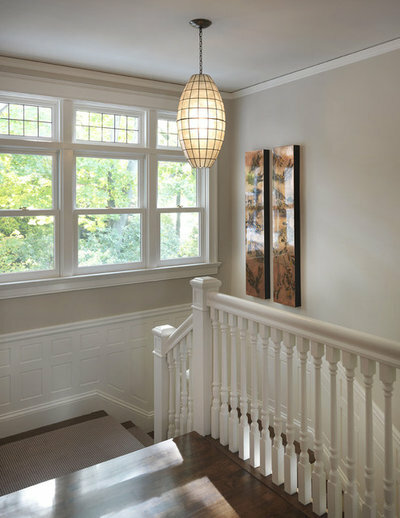 The beautiful architectural details in this stairwell are enhanced by the contrast between the beige walls and the white trim. 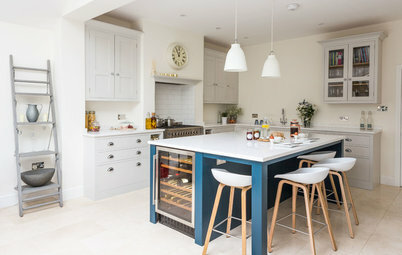 A warm, dark beige with a light, warm blue. Sand and sea, a classic combination. Beige is a great backdrop for an eclectic room with lots of colour. 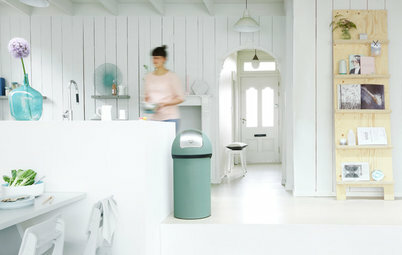 It’s warmer than bright white, and it doesn’t compete with the accessories and furniture the way another colour might. 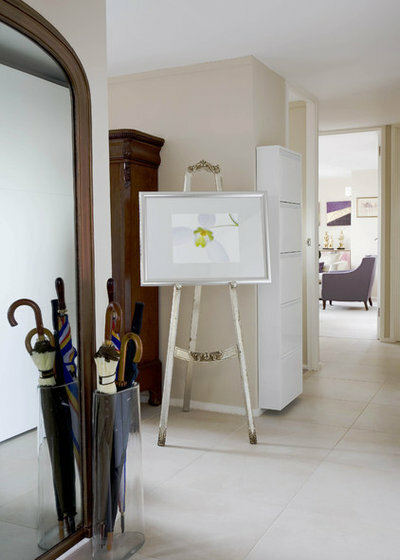 This greyish beige gives this hallway a very elegant, very traditional feel. This is a well-thought-out use of beige. 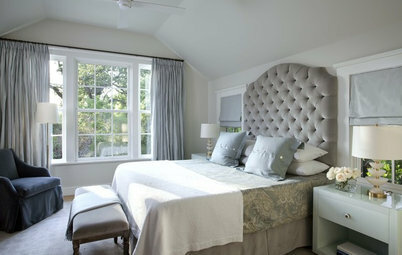 There are different hues and tones on the walls, ceiling, bedspread and floor. And, again, the layers create a feeling of sanctuary. 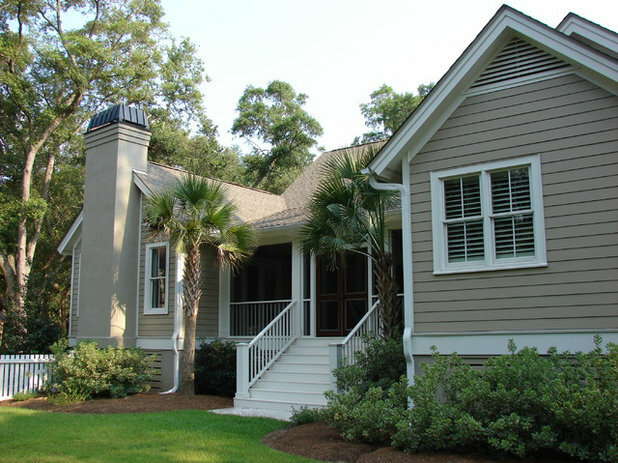 A light, creamy beige with glossy true-black trim. It's elegant and less predictable than white. 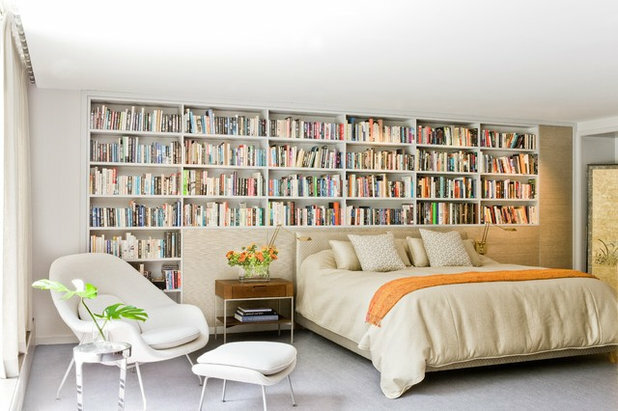 I love this room. Too often beige is just slapped up as the base colour. But it can work as an accent too. 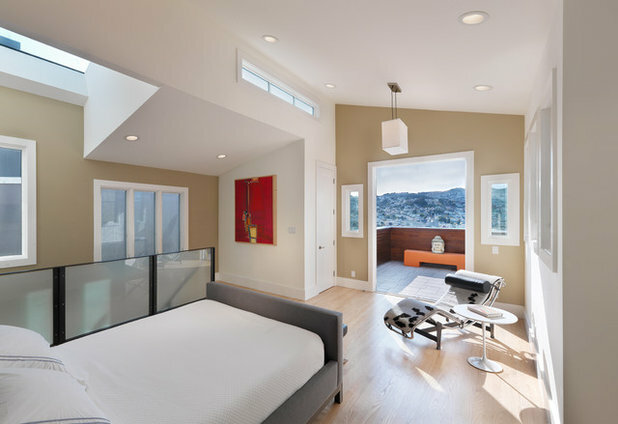 These beige walls highlight the angles in this room and give it depth. These subtle and chic beige and cream stripes are a great alternative to the pink and blue nursery. So soft and calming. 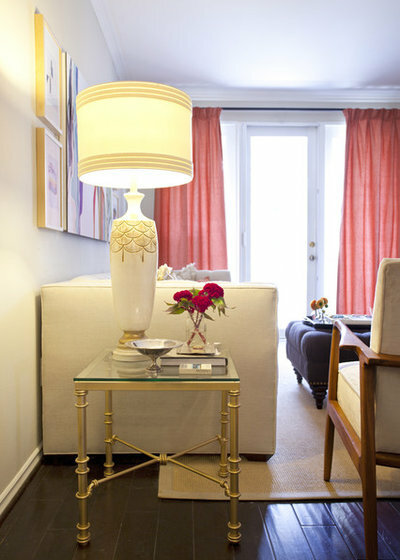 Pink-beige gives this room a softness that a cooler or darker shade would not. 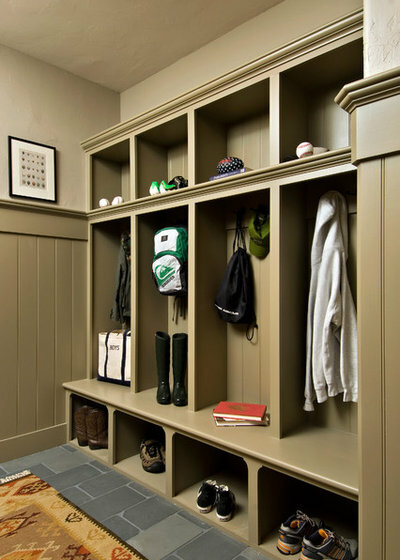 Beige doesn’t have to be the wall colour; it can be the trim. 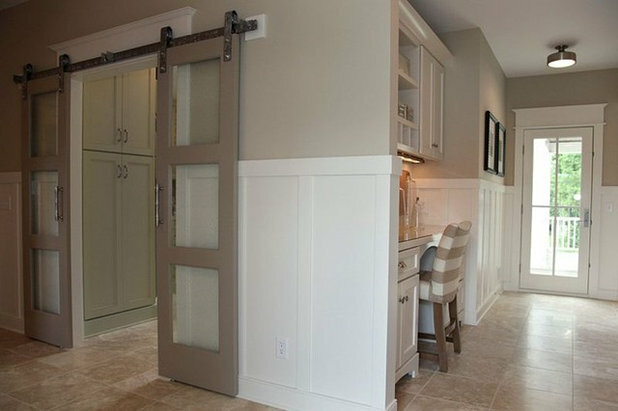 These dark beige doors look great with these white and light beige walls. Feminine white furnishings are anchored by this dark beige wall colour. And it looks great with gold too. 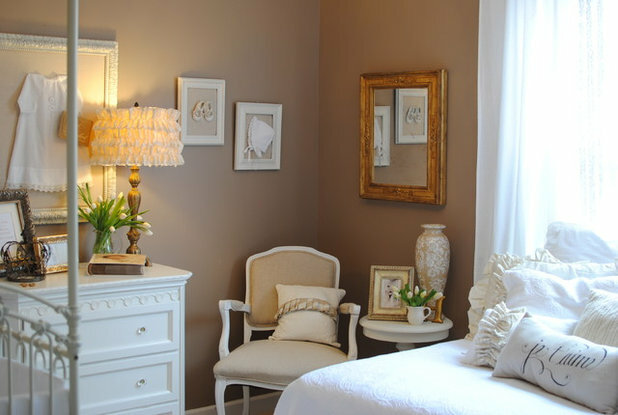 Beige walls with a dark beige trim. Painting trim darker than the walls is the opposite of what most people do, and it always looks fresh and modern — even here, with traditional wainscoting and other flourishes. 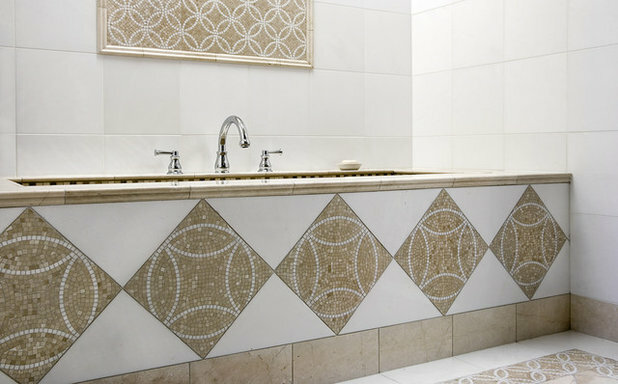 This beige tile design is such a beautiful contrast to the bright white in the rest of the bathroom. Eye catching but subtle. The beige tiles behind this bathtub are rich and caramel-y. I think I would have continued the white from the ceiling onto the upper wall, to create even more contrast. Beige gets modern. I love this shiny foil finish for a modern and sophisticated bathroom. 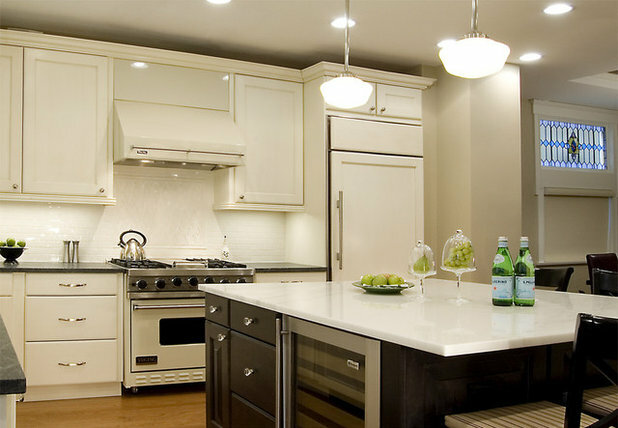 Beige cabinets and appliances are a nice alternative to bright white. Everything is still crisp and clean looking, but a little less severe. Here, light greige walls set off the modern white cabinets and appliances. The beige sofa, rug and walls are the perfect foils for other colours and textures. 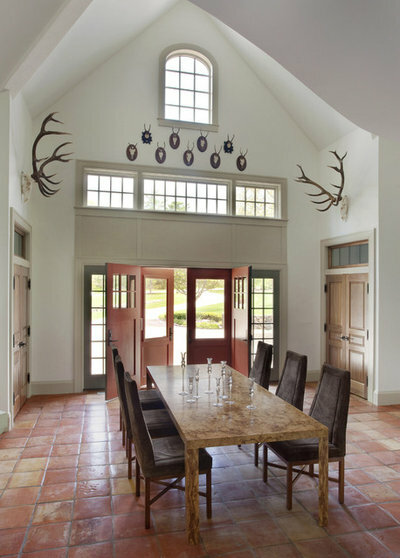 It’s traditional meets eclectic. Minimalist and modern and beige. 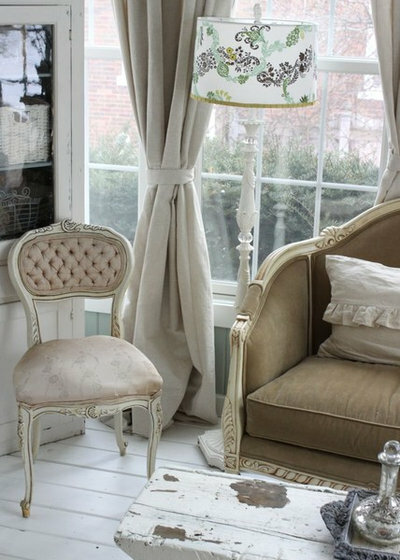 A creamy beige sofa, walls, rug and chair with warm pink curtains. This room is so refined and lovely. 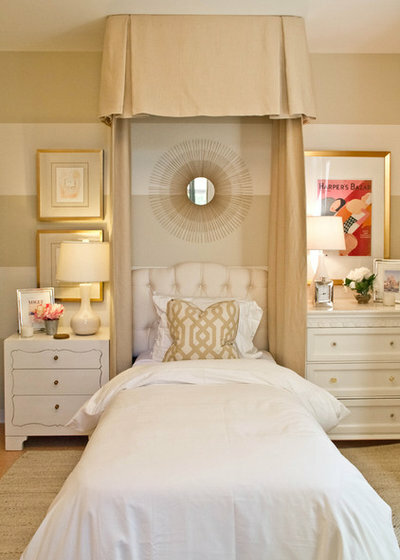 Beige as an accent with warm white. Used like this, beige becomes a colour full of possibilities. 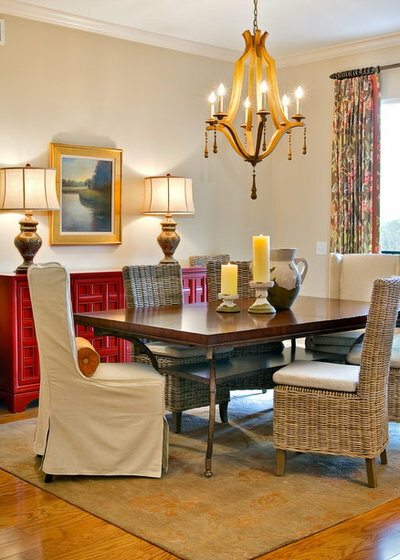 Traditional chairs upholstered in various shades of beige linen. The word "beige" comes from a type of undyed cotton. This room has a very airy, stately feel. It's shabby chic in the best way. Beige but not boring. All the different shades of beige here are the perfect backdrop for the multicoloured wall of books and the various pops of bright colour. Love it. 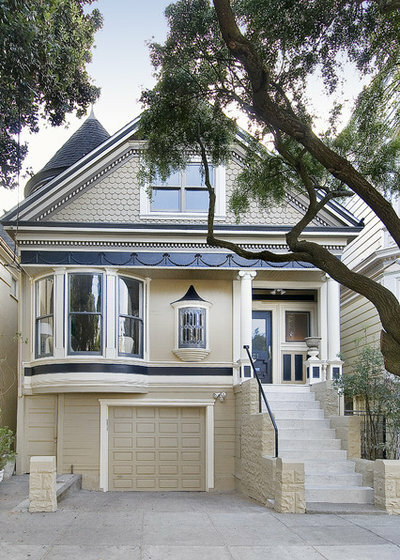 A beige Victorian with navy trim. A classic. The old standard: beige with white trim. 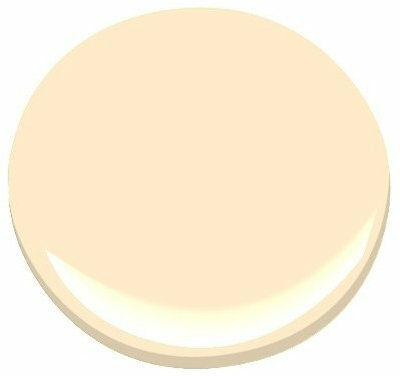 The following paint swatches are for illustrative purposes only, to give an idea of the range of beige paint colours available. To find the shade that works for you, visit your local DIY store for a paint chart and compare, or find a pro to help you. Still pink but even warmer — a salmon beige? A light tan with green undertones. Lighter but still cool and green. Kind of an ecru. Another greenish beige but a warmer one. Imagine it with a bright white trim — very crisp. A very warm, yellowy beige. Great with red. A very yellow beige. This would look stunning with a warm blue. Nearly dove gray but still a beige. A light, creamy beige. Many of these are in the white family. A tad darker but still very creamy. Have you decorated with beige? Let us know in the Comments. So I’ve been hearing, grays are passé, and like any overdone trend I’ll be happy when something else dominates the market. Beiges are beautiful in their own right. Well, maybe except for pink beige. I’m craving a more fresh and clean paint palette in 2019. I just painted my north facing bathroom no less than three times. I should have gone with my gut and used BM Inner Balance but I avoided it due to the beige-is-boring stigma. Regrets. We have (Menards) Colorado Canyon stacked stone accent walls in the bathroom, and dark gray and cream/beige colors in the stone - very pretty. I tried BM Alaskan Husky - too light, went a little purple in the north light. Then I tried the next color on the strip, nope that one went little boy blue, so then I just tried BM Winter Solstice and well it’s a little purple too and just too dark for this north room. Disappointed. My adjoining master is a beautiful ethereal blue, BM Lookout Point, nice light fresh and airy, and I think inner balance would have coordinated well, like a sand and beach feel to it. I shouldn’t have let some stigma overpower my original instinct. I know this is an older story but I just read it. Talk about being pegged - I love beige AND I am a retired City Clerk.